Êl síla erin lû e-govaned vîn! Most of you are probably sitting there thinking, "TEA and a READ? what in ERU'S NAME is THAT?" And you'd be perfectly justified in wondering, since I haven't done one of these in over a year! But this was a fun series, so I figured I'd bring it back on a semi-occasional basis. 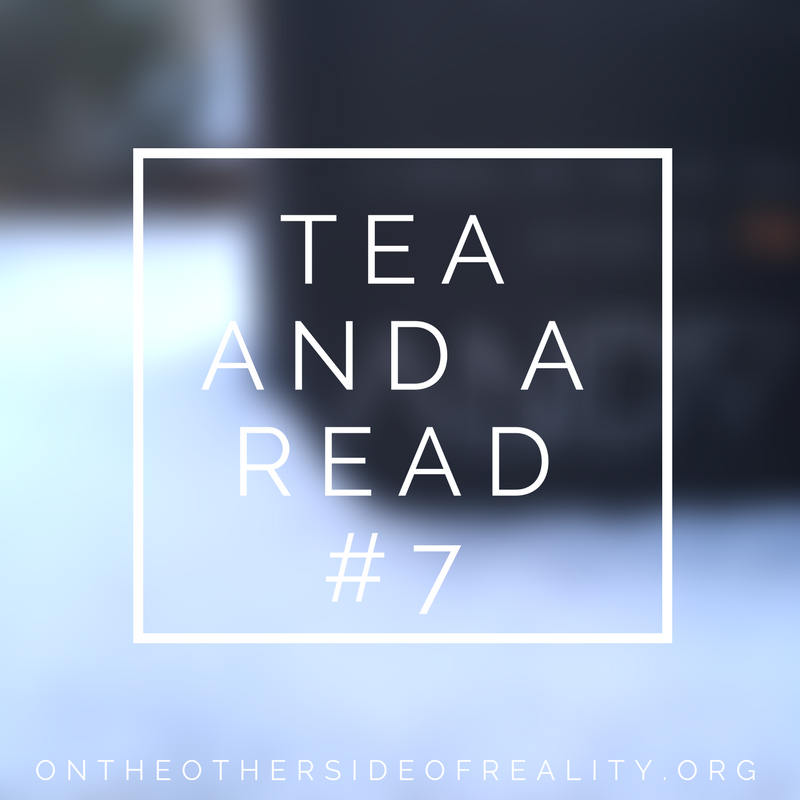 Tea and a Read is a segment created by Kathryn @ In the Depths of Dreams where you share the book you're reading + tea you're drinking at the moment. It's especially fitting right now, considering the cold winter I've found myself in. 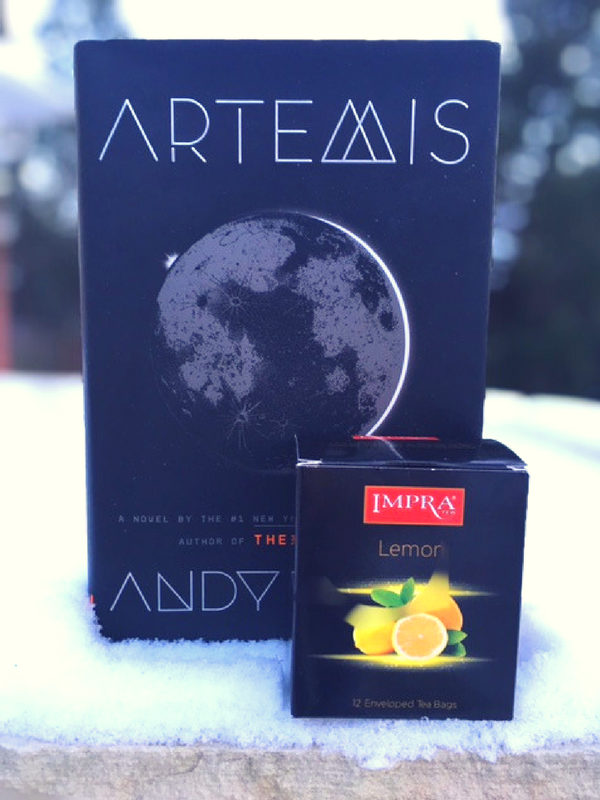 Right now, I'm reading Artemis by Andy Weir. He's the author of The Martian, the best book I read in 2017. I don't think Artemis will be as good, but I'm still enjoying it. It takes place in a fictional moon colony called Artemis. The main character, Jasmine "Jazz" Bashara, is one of the city's premier smugglers who's planning a heist that will disrupt the highest echelons of Artemisian society. The humor is sarcastic and sharp, and the science is fascinating. I've been drinking a plain old lemon tea by Impra. My grandmother didn't want it, so she passed it onto me. I didn't think it would be very high-quality, but it's good! 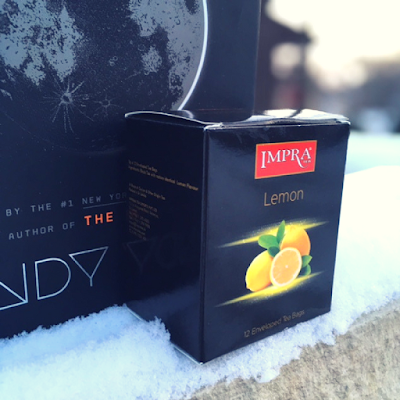 The notes of black tea and lemon work together perfectly. The lemon is present but not overpowering. And as Jazz Bashara would say, "Black tea is the only hot drink worth having." Let's chat! Do you like science fiction? 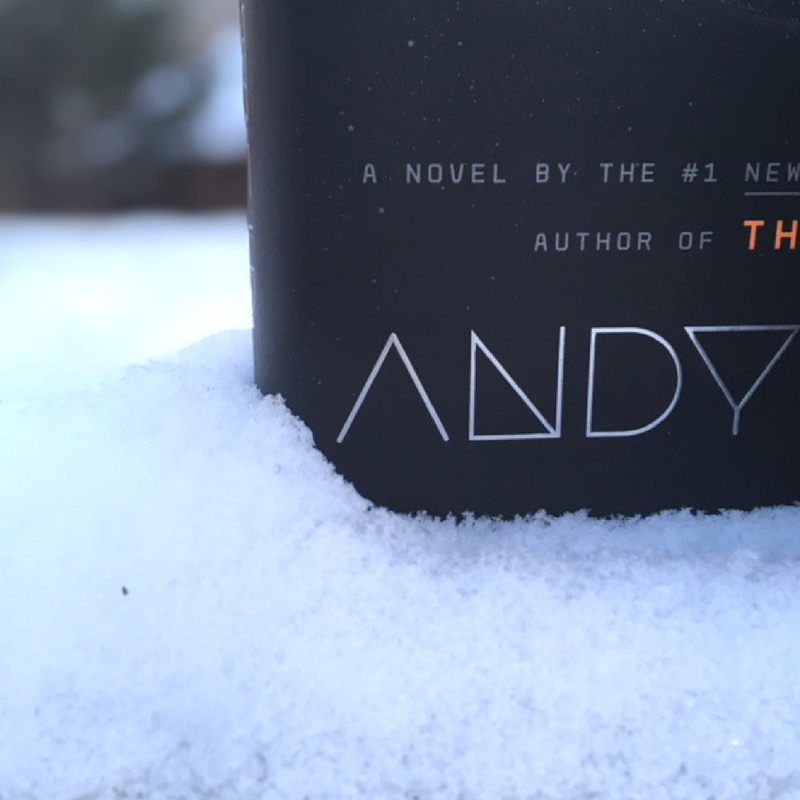 What books are you reading right now? Favorite tea? Or is there another hot drink you prefer? (traitor.) Comment below, and have a fabulous day. I'm actually not a huge fan?? but it's Andy Weir, so I knew it would be great. I remember doing a competition like that sometime in fifth grade, but I didn't know they still existed at the high school level. I've had lemon ginger tea before, but I can't say I've ever tried plain old lemon. Sounds delightful! (I type as I drink my morning coffee.) Hope you enjoy your book! Ginger tea is really good! I drink a peppermint, lemongrass, and ginger blend that's one of my favorites. Haha, thanks! Haha I guess this makes me a *traitor*, but I'm completely a hot chocolate person. I do drink tea sometimes (I used to hate it, but being sick got me into it and now I can enjoy it), but I always opt for hot chocolate when I have the chance. I hope you like Artemis! I haven't read The Martian yet, but my sister did and really enjoyed it. *gasp* how DARE you? I'm kidding; I love hot chocolate. The richer the better.